Many parents haven’t known right ways to give children tablets. Medicines for treatment have plenty of kinds, such as syrup, tablets, drugs… The most popular kind is tablet. So, do you know how to give your kids tablet in a safe and efficient way? 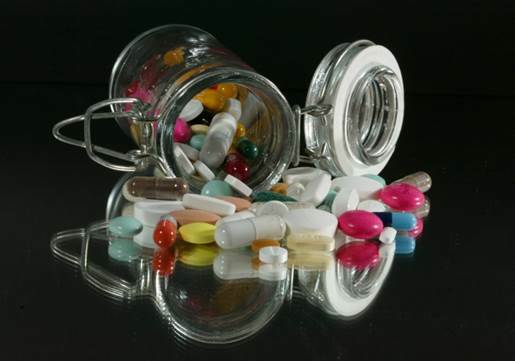 Tablets have lots of kinds, for example, compressed tablets, film-coated tablets, sugar coated tablets, capsules. The followings are ways to use tablets efficiently and safely. 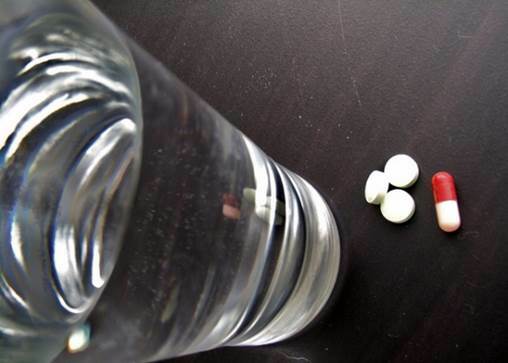 · Normal pill: When drinking, swallow the whole tablet with water; it’ll be better to use boiled water. · Effervescent tablets: put the tablet in water, let it dissolve then drink the liquid. For example, the tonic has plenty of multivitamins and multi-minerals. · Sub-lingual tablets are placing to dissolve under the tongue. They are used for inflammation hemolysis (Alpha chymotrypsin); the melt tablets help get rid of bacterial in the mouth and throat (Bacitracin, Dorithricin…). Lots of parents lack understanding about giving children pills. Clean the hands and dry them before giving kids pills. When kids take pills, let them sit or stand and drink a moderate amount of water (a glass of boiled water) to prevent pills from sticking in the esophagus. Children who are under 6 years old are often not able to swallow the whole pill, so it’d be better if moms crush it before letting them drink the pill. Some pills are very biter or to kids that find it difficult to take pills, moms often crush and combine the pill with whey or yogurt… This is not good because it can change and reduce the effects of the pill. Parents should ask for doctor’s or pharmacist’s opinions before choosing the most suitable way to let kids take pill. Therefore, to make sure children are safely taking pills, moms should read the user instruction carefully. If you have any questions about using pills, ask the doctor or pharmacist for instruction. Follow the prescription of the pills, such as the number of tablets, times of taking tablets, days of the treating process. The water that is used to drink with the pills must be boiled water. By the time, moms have to be sure the way to take the pills: whether it’s drinking, chewing or holding them in the mouth. If it’s drinking, should they be dissolved in water before drinking? Should you break or crush the pills for the children? Should they be taken before or after meals? 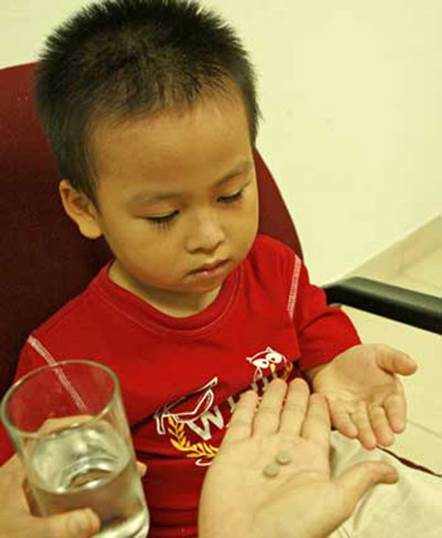 When taking pills, children need to drink lots of water; there is a case that taking capsules without water leaded to the fact that the pills were stuck in the esophagus. The components of the pills are released and they caused bad effects to the esophageal. The water that is used to drink with the pills must be boiled water, do not use milk, tea, juice to do so. Old people who are often confused about the pills should have family members kept the pills and brought them out when necessary.